Home Unlabelled Video: 72-Year-Old Woman Gives Birth To Healthy Baby Boy! 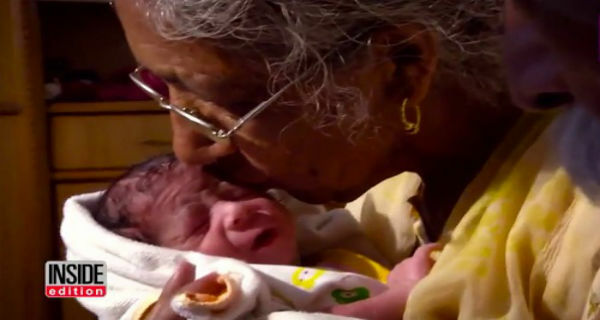 Video: 72-Year-Old Woman Gives Birth To Healthy Baby Boy! A 72-year-old woman in India has become one of the oldest first-time moms in the world after giving birth to a healthy baby boy. She not only had a natural birth but she is also breastfeeding her bundle of joy. Daljinder Kaur gave birth to her first child after two years of IVF treatments. Kaur has been married to her husband, Mohinder Singh Gill, 79, for 47 years but they never had any children. They won’t be trying for another baby and they vow to give their baby boy the best life possible.